News hit my in-box a little earlier about what was being called “Batman Vs Superman”. Now the news is that it has a name. 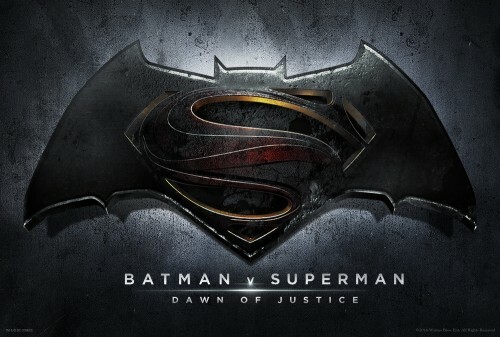 It’s going to be called “Batman V Superman: Dawn Of Justice”. Not only that, we have a complete cast list. The main news is that Jeremy Irons is taking over from Michael Kane as the role of Alfred. Still no news on what the plot of the film will be as it’s due into cinemas in 2016. May 6 to be precise. The other news is that principle photography is “underway”. We already know that Warner Bros. as the director has already published some images of Batman already! The third bit of news is that we have a poster. It’s more just the film’s logo. The problem is that it’s not very good. They have just mashed both logos together and hoped for the bet. It just doesn’t work! Superman’s is just overwhelmed by Batman’s. What do you think? It seems that most will be filmed in Detroit. The city really needs the money even with the, probably, great tax breaks that the film has managed to get. We also have seen the launch of the Official website. Hopefully we will see some great updates over the next two years whilst the film is being made.